This Post has already been read 1484 times. 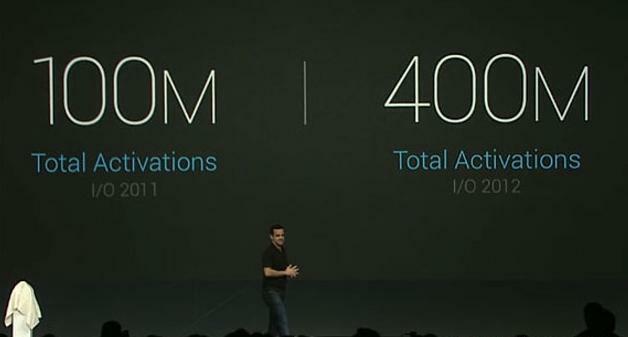 On Google I/O it was announced that 400 million Android devices have been activted in total – that’s a four-fold increase in just one year. “400 million is pretty huge number, but we’re definitively not slowing down,” Says Hugo. To put the number in perspective, the number of Android activations per day a year ago was 400,000 and now that number stands at over a million. That works out to around 12 new devices a second. — This is a very good news for Google Inc. It was further reviled that with new Google Nexus 7 and Android 4.1 Jelly Bean, Android growth is bound to accelerate.